At Caxton we make it easier and safer to spend your money abroad and save you money in the process. You can transfer money to the card using the Caxton Mobile App. Visit the Mobile App page for more details. Load your card via your online account 24 hours a day 7 days a week. 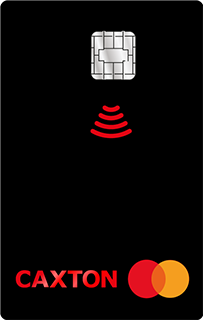 Accepted at over 35 million outlets worldwide, displaying the Mastercard sign - in a store or online. The Caxton card is 'chip & PIN' secure. * Caxton does not charge a fee for overseas ATM withdrawals. When you use an ATM overseas, the ATM owner may charge you a fee. This is not Caxton charging you, it's the ATM owner. My Caxton card has been invaluable. It's a fantastic thing to have on your travels. *PIN reminder is available online on your account or on the app. If you change your PIN at an ATM, your online account and app will still show the new PIN.